Pull type scrapers transfer 1/3 of their total weight to the drawbar on the tractor. 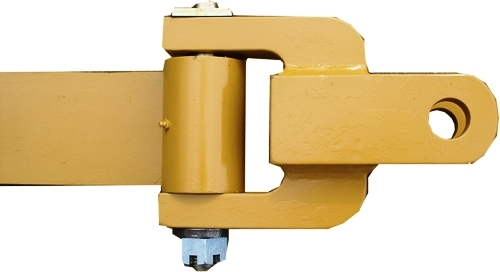 Pull Scrapers require specially designed heavy duty drawbars that are specific to Tractor make & model and Scraper Manufacturer. Always consult with your local dealer concerning tractor manufacturer's requirements for pull scraper drawbars before placing your order. 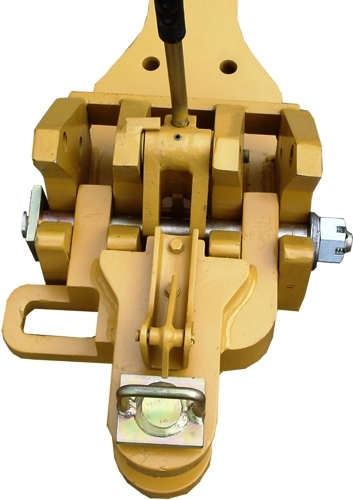 There are many different types of drawbars that hook to many different types of scrapers. 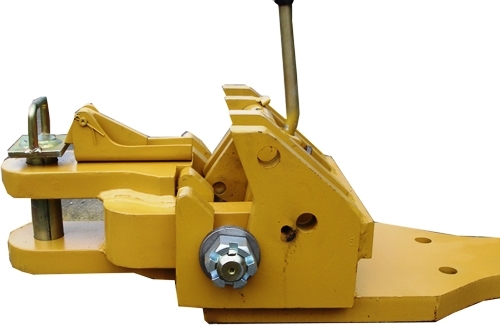 Not every drawbar can hook up to every scraper, so it is very important to read this section before proceeding! Below you can see a list of part numbers corresponding to most all major manufacturers of tractors. Locate the make & model of your tractor and match corresponding drawbar number. If you are running internet explorer a quick and easy way to locate your drawbar is to hit (CTRL + F) to activate the find feature and type in your tractor model and press the ENTER key. This should take you directly to the referenced drawbar on this web page. Step 3: Don't see your drawbar listed? Click Here to download a drawbar template that you can fill out and fax to us for pricing and availability. Ag pull pin is not included with ag adapter. Must be purchased seperately. -Part No. 1062352 takes an ag pull pin part no. 1062216 (dia.1.75" in). 2210, 2180, 2160, 2145 "same as Genesis Series MFWB"
9020 SRS (short), 9320, 9420, 9520 (Hi-Flo), "FOR QUICK HITCH STYLE ORDER: 1066600-QH"
9270, 9280 without 3 point, "ears up only"
9270, 9280, 9370, 9380 without 3 pt "ears down only"
9270, 9280, 9370, 9380, 9390 without 3 point "ears down only"